EZ Restoration LLC provides an immediate response for your emergency plumbing situation. Whether your sump pump has quit working or a pipe has burst, call EZ Restoration LLC for a quick and economical solution to your plumbing problem. EZ Restoration LLC emergency plumbing technicians provide exemplary plumbing services at a fair price. In addition, we'll repair your damaged walls and flooring once the plumbing issue is resolved and the flooded area is completely dried. If you are experiencing a plumbing emergency, give EZ Restoration LLC a call for a quick response. We are available 24 hours a day at (844) 289-7209. Plumbing emergencies can't wait until Monday morning, and neither will we! Our expert plumbing technicians will be on site quickly to assess the situation, provide a plan of attack and quickly resolve your plumbing issues. In addition, as the areas trusted water damage restoration experts, we are prepared to handle any necessary cleanup due to the leaking or pooling water, and return your property to like new condition. The results of a plumbing leak are often more devastating than the initial problem. If floors and walls become saturated, or if water penetrates walls, carpeting and floors and is not removed, Mold and mildew will begin to grow in a matter of days! Why not call the expert who can resolve your plumbing problem AND the resulting water damage? 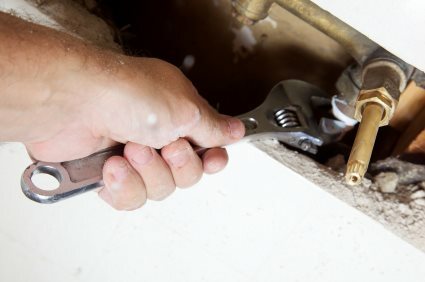 Call (844) 289-7209 right away to fix your emergency plumbing problem and restore your property to it's prior condition.